Proofing cabinets like these make obtaining “the perfect rise” a breeze! Precision humidity and temperature controls, ensure the results you expect every time. Please be sure to check out other great items from Nu-Vu, BevLes, Doyon Baking Equipment and Metro. NU-VU OP-2FM Oven/Proofer keeps bread and other items at their correct temperature and humidity until they are ready to be served. 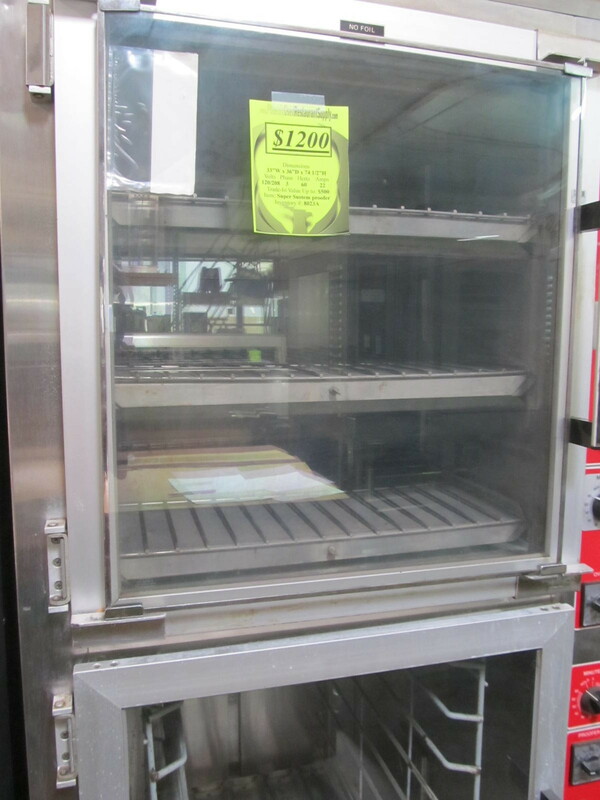 This unit has a total capacity of 15 pans, with space for 6 pans in the oven and 9 slots for the proofer cabinet. 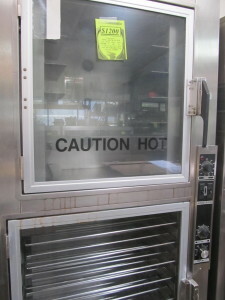 The Proofer has separate heat and humidity controls for a customized unit suited to any needs. 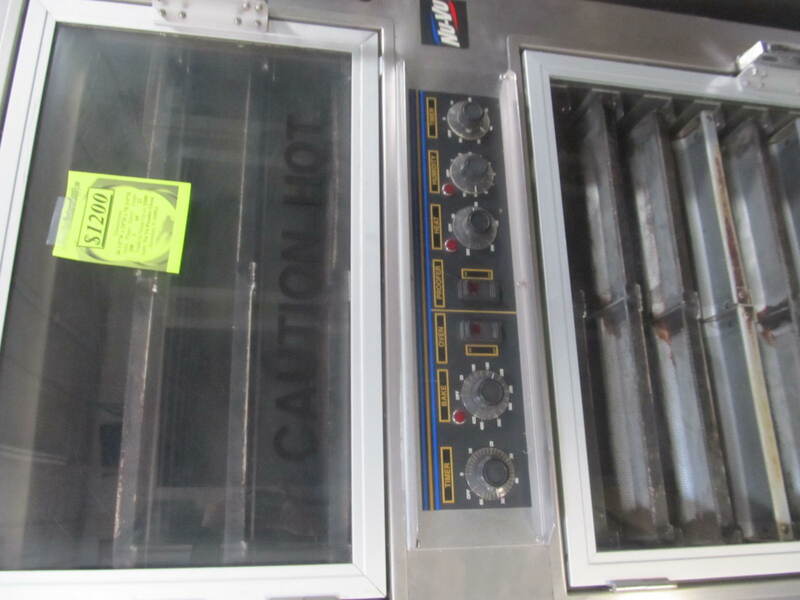 Each oven deck individually controlled provides precision “hearth” bake. Full-view, heat reflective glass doors allows energy-efficient sight baking and proofing. Each deck brightly lighted provides sight merchandising. 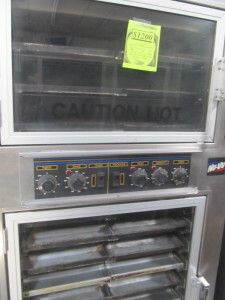 No moving parts in oven eliminates maintenance problems. 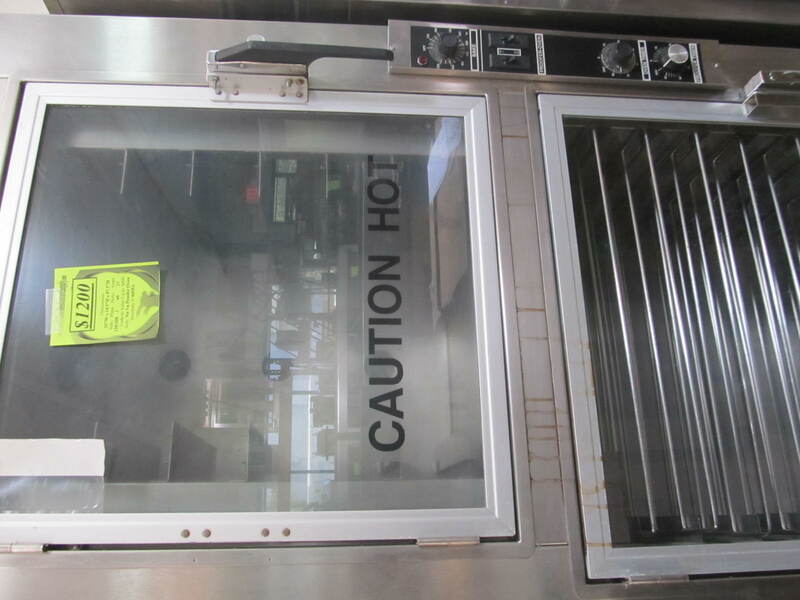 Heavy-duty, stainless steel construction easily cleaned and maintained. Individual heat and humidity controls provides precise control over proofing environment. High volume blower circulates heat and humidity efficiently. Manual fill water pan has 4.3 quart capacity. Oven/Proofer. Stainless steel design. Two glass doors with latch handles. Temperature control dials for each section. Timers for each section. Top section has 3 sets of slides each measure. 17″W x 14″D with 4″ clearance. Bottom section has 8 sets of slides each measure 26″W x 18″D with 3-1/2″ clearance. 3 racks included in top section. 8 racks included in bottoms section. Power: 208 Volts. 60 Hertz. 1+N Phase. 30 Amps.